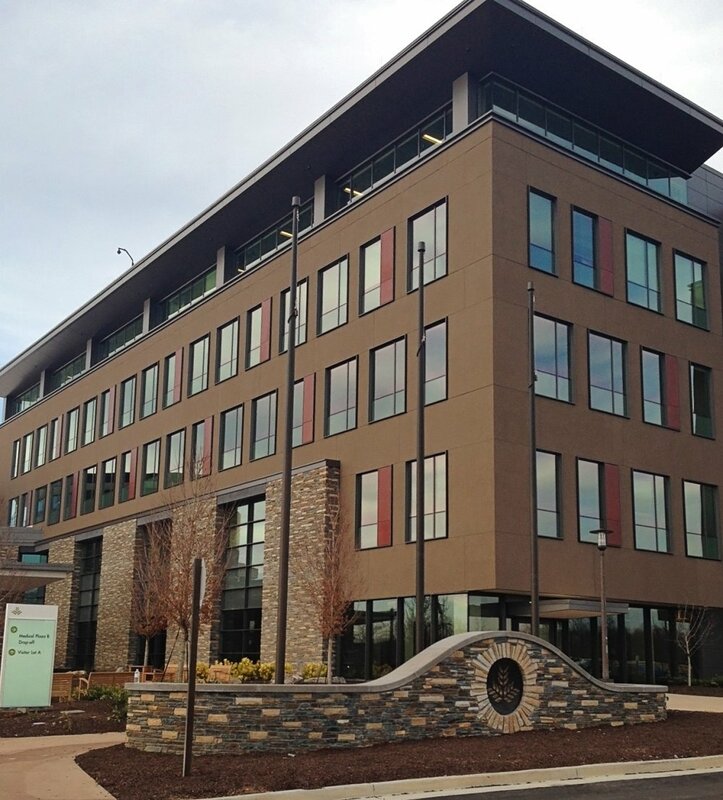 The opening of the five story, 113,000 square foot medical office building brings the community one step closer to the much-anticipated opening of the new 100-bed hospital, NGMC Braselton, set to open later this spring. Many of the physician practices moving into Medical Plaza B are relocating from existing locations in Medical Plaza 1 or Thompson Mill Medical Offices. The opening of Medical Plaza B marks another milestone in Northeast Georgia Health System’s efforts to provide health care closer to home for residents of Braselton and surrounding communities, says Anthony Williamson, president of the future Northeast Georgia Medical Center Braselton. When it opens this spring, NGMC Braselton will bring new medical services – modeled around the programs of excellence at NGMC Gainesville – to the Greater Braselton community. These include heart and vascular services, orthopedics and neurosciences, cancer treatment, surgery and emergency services. The new Medical Plaza B complements the existing Medical Plaza 1, already located on the campus, which houses an urgent care center; outpatient imaging center and lab; physical, occupational and speech therapy; and more than 30 physician practices representing 27 medical specialties. For more information about the physician practices and services in Medical Plaza B, visit www.nghs.com/braselton. Northeast Georgia Health System (NGHS) is a not-for-profit community health system dedicated to improving the health of our community in all we do. The Health System offers a full range of healthcare services through its hospital in Gainesville, Northeast Georgia Medical Center (NGMC) – which is rated Georgia’s #1 Hospital (CareChex®) and one of the nation’s 100 Top Hospitals (Truven Health Analytics®). Led by volunteer boards made up of community leaders, the 557-bed Medical Center and its medical staff of more than 500 physicians serve almost 800,000 people in more than 13 counties. NGHS is currently building a second hospital, NGMC Braselton, which is scheduled to open in Spring 2015. Learn more at www.nghs.com.